INDIANAPOLIS (Wednesday, July 17, 2013) - The Indianapolis 500 Mile Race and IZOD IndyCar Series provide the vehicle for Theo, the main character in the DreamWorks Animation 3D film "Turbo," to fulfill his dream, and the adventure movie provides a marketing vehicle for the racing properties. 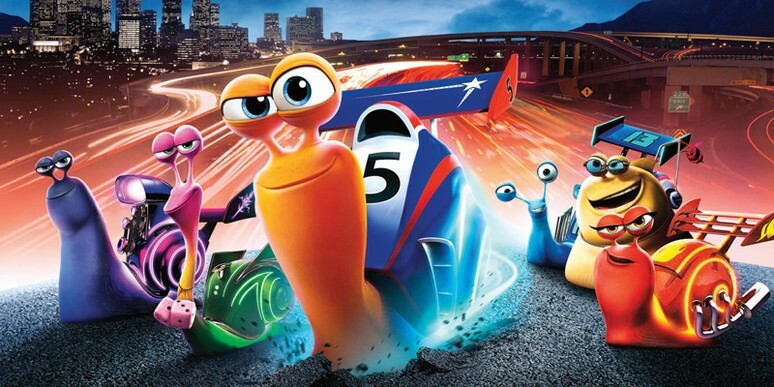 "Turbo," featuring the voice talents of Ryan Reynolds, Paul Giamatti, Snoop Dogg, Samuel L. Jackson and Maya Rudolph among others, is the story about a common garden snail in Los Angeles who has big dreams. Through a series of adventures, he winds up at the Indianapolis Motor Speedway to compete in the biggest auto race in the world. The "four-quadrant movie," a movie industry term for films that reach the broadest possible audience, opened in theaters July 17. Film.com projects "Turbo" to rake in $400 million at the box office this summer. "It's such tremendous exposure for INDYCAR and IMS," said Mark Miles, CEO of Hulman & Co., the parent of INDYCAR and the Speedway. "Now that I've seen the film, I can say with 100 percent certainty that everyone who sees it will leave knowing about INDYCAR and the Indianapolis Motor Speedway. With the movie open occurring right in the heart of our season, more people will be tuning in to see the real version of what they see on screen." Young theater-goers across the country will receive a page of stickers with the web address www.indy500kids.com -- a microsite of content appealing to children and designed to create an entertaining, engaging online experience. "This site will bring more awareness of INDYCAR and IMS among children and help cultivate younger fans," Miles added. "Many of our drivers and partners are involved in the movie and have separate activations to promote interest." Partner integration in the movie includes Chevrolet, Firestone, Verizon, Sunoco, Hewlett-Packard and Target. Those companies, along with AAA, have activated their movie tie-in via retail and online in addition to on the racetrack (Tony Kanaan has driven the Sunoco "Turbo"-sponsored car in three races since winning the Indianapolis 500 in May with a fourth Aug. 4 at Mid-Ohio). Three-time Indianapolis 500 winner and four-time IZOD IndyCar Series champion Dario Franchitti was a technical consultant and has a voice cameo in the movie along with Mario Andretti and Will Power. "People say we need new fans, and in my opinion the new fans are the kids," said Kanaan, who along with three-time Indy 500 champion Helio Castroneves, reigning series champion Ryan Hunter-Reay, Ana Beatriz and Power attended the U.S. premiere July 9 in New York. "Kids are going to ask you to go to Indy 500 because of this May's Indy 500 and the movie that they watch. I think it's huge for us." It's huge short and long term, according to INDYCAR vice president of marketing Kasey Coler. "I think we'll see kids wearing their Turbo shirts as soon as Mid-Ohio (Aug. 3-4) as they engage with the sport through the movie," Coler said. "Long term, you go to our Forza relationship and video gaming, and our STEM (Science, Technology, Engineering, Technology) program in middle school and as it matures into high school grades. "It's not about just kids being engaged with our product once, but how do you have something that takes them each step of the way that INDYCAR is entertaining and educational and thrilling." Co-branded merchandise is available through INDYCAR partner Lids on the www.indycar.com shop, at INDYCAR's at-track shops and at www.Lids.com. The Indianapolis 500 Mile Race logo depicted in "Turbo" has been adopted for the May 2014 race. 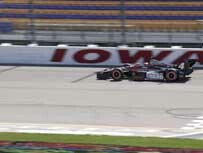 Though the premise about a snail that can compete in the 230 mph world of the IZOD IndyCar Series requires willing suspension of disbelief, viewers are caught up in the realism of the racing on the 2.5-mile Speedway. "This is the ultimate race," said director David Soren, whose previous DreamWorks Animation film credits as a story artist include "Shrek" and "Over The Hedge." "I'm thrilled that the movie has come out as well as it has, and I think it really represents the sport well." Researching the film, Soren and his crew attended the 2011, 2012 and '13 Indianapolis 500 "to really mine all the details that this place has to offer." "We wanted it to (depict) the real race, and we wanted it to feel like the real race. So we came here and we did our homework," he said. "When you have a snail that can go 200 mph, I wanted everything else in the movie to be grounded in reality. "The race itself is the culmination of the movie. The attention to detail had to be there and I wanted the sport to feel authentic. It's the real race in the movie and we had to represent it that way."